This mug couldn’t have been more made for me if it’d had my name on it… spelled correctly, even. 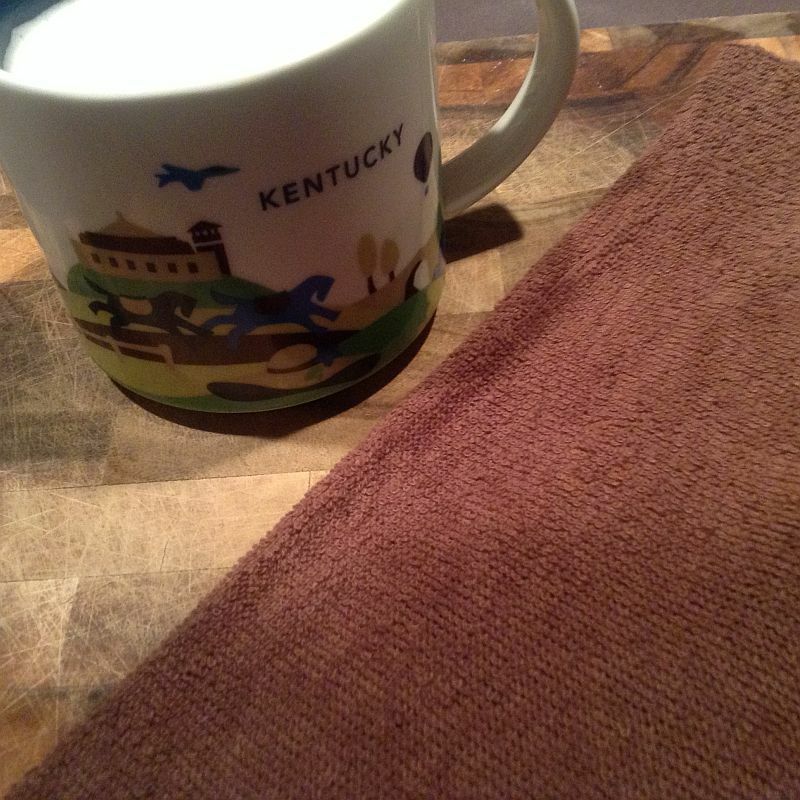 I mean, no one loves their home state any more than I do, no one loves coffee any more than I do (my blood type is caffeine, I thought you should know that), AND I have collected coffee mugs and cups since I was able to walk. Well, maybe not that long, but you get the idea. This beautiful coffee mug was an early Christmas gift from my oldest daughter (with the exact same blood type). They’re available at Starbucks and, I assume, online as well. This is one fantastic looking mug, so you’ll want to grab yourself one asap. When it comes to writing Kentucky restaurant reviews, I tend to often write about restaurants I’ve visited for the first time – or a restaurant that has a “new” menu item or special. Disclaimer: Many restaurant reviews on Genuine Kentucky were done BEFORE I had to stop eating gluten and wheat. I no longer eat at Cracker Barrel because they do not consider ANY of their meats gluten-free. Unlike the vast majority of restaurants, where you can order meat and consider it to be gluten-free, Cracker Barrel simply states that none of their meats can be considered to be safe for us to eat because they cook all of their meats in the same place. If you have to eat gluten-free, I don’t recommend Cracker Barrel. Even if you’re a vegetarian, in my opinion, you’d be better off going to a restaurant more dedicated to serving the needs of all of their guests. The problem with that is that sometimes a good, old-fashioned, consistently favorite restaurant can get lost in the commotion. 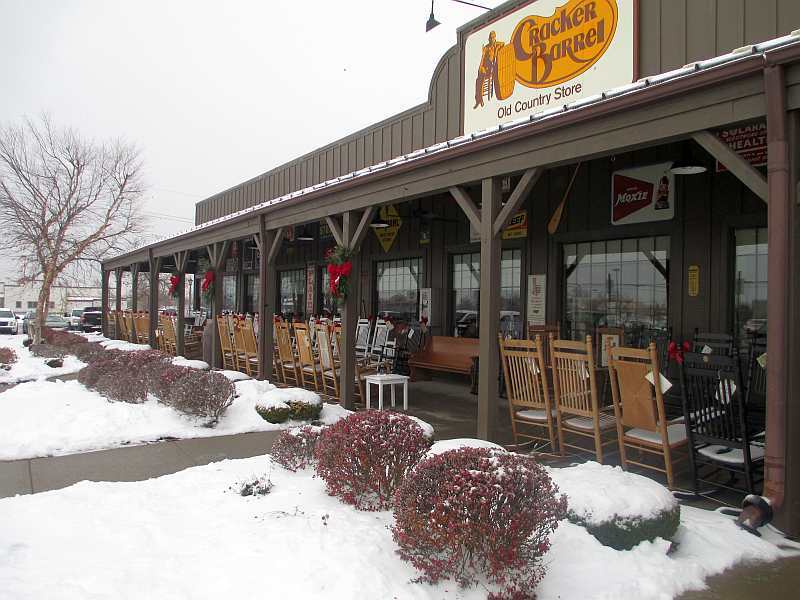 Take the Cracker Barrel in Owensboro, Kentucky for example. I eat at this particular restaurant possibly more often than any other – with the exceptions of Wasabi Express and Mi Ranchito, which are the only ones I frequent as often as CB. Old favorites might not get the fanfare that new ones get, but where in the world would we be without them?! Cracker Barrels isn’t just a chain of restaurants in the South, it’s a Southern institution, and one that we’re incredibly proud of. The menu is diverse – more so than the majority of restaurants. Think about it, not only can you order amazing breakfasts any time of the day or night, you can have your choice of a HUGE variety of meats and vegetables. The list goes on and on and includes “seasonal menu items” that are always available. On a recent trip to Cracker Barrel, my husband ordered a big beautiful breakfast (shown above). Our oldest daughter Emily and him order from the breakfast menu most of the time. Who can blame them, you get A LOT of food for a great price, and the food is always exceptionally delicious. My favorites are the fried catfish, spicy grilled catfish (Heavenly! ), shrimp, meatloaf, and chicken and dumplings. 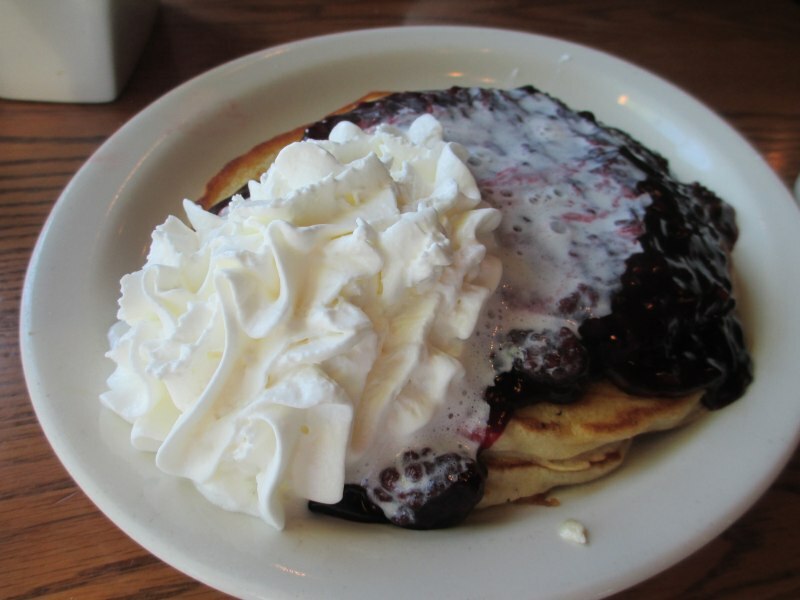 Every now and then I HAVE to have a plate of pancakes with berries and whipped topping though. One look at the picture below and you can see why. Obviously, Cracker Barrel is an outstanding place to have breakfast or supper, but have you ever thought about Cracker Barrel for lunch? The prices are hard to beat and the food is as good as you’ll find anywhere. The fried catfish sandwich is wonderful and I highly recommend the Meatloaf Sandwich, the Grilled Chicken Salad and BLT Salad. To make a long story short, there isn’t a bad food item on the entire menu. 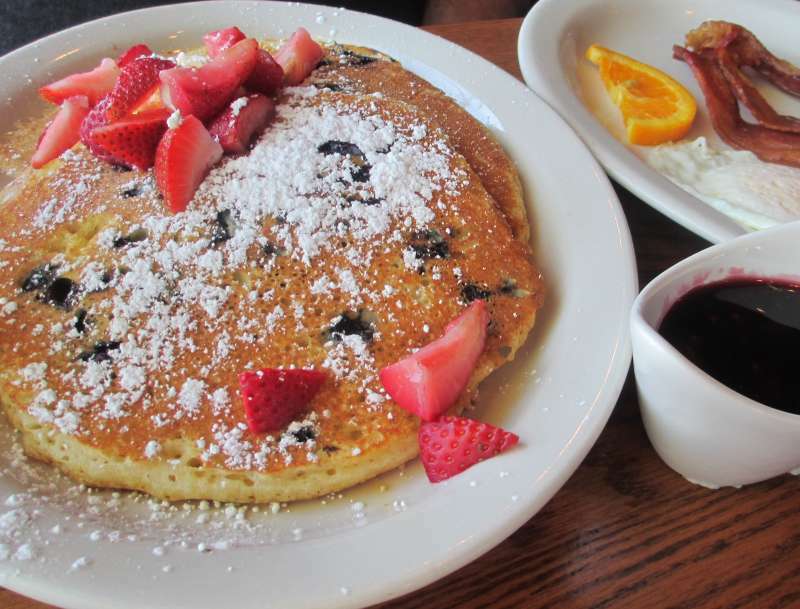 The next time you’re trying to decide where to eat breakfast, lunch, or supper, head to Cracker Barrel and remind yourself what a great restaurant experience should be like. I applaud (loudly applaud) the fact that, even in this irritable economy, Cracker Barrel’s prices remain VERY fair. You get more than you pay for at Cracker Barrel, and that can’t be said of a lot of restaurants. See Cracker Barrel’s website for the menu and to find a restaurant/store near you. Most people, with their photography, have a certain “look” or “feel” – a favorite technique, if you will – and I’m no exception. Because of my love for animals, trees and landscapes, most of my pics are of these subjects. And food… let’s not forget food. I’ve noticed something that’s pretty stereotypical of my tree shots. Apparently I’m all about the “undershot.” When I look through my pics for Kentucky Pics of the Day, for Twitter, Pinterest, or Instagram, I see a lot of photographs taken from the vantage point of the one here. What can I say? 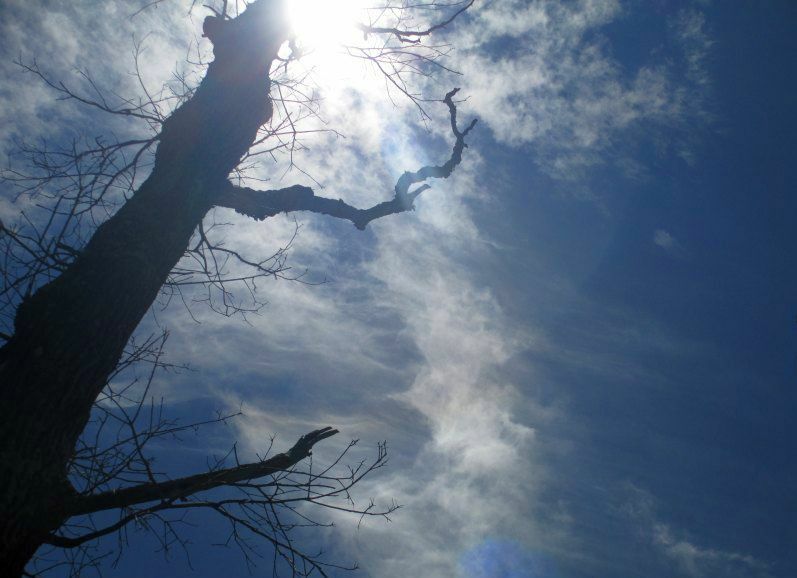 I am obsessed with trees and the sight of one reaching into the sky as though it’s touching the Heavens gets me every time. The other night, my husband and I were watching one of our favorite shows on the History Channel and they focused a shot up a tree as it reached toward the clouds – I thought about telling my hubby, “There’s another me out there…” but I didn’t want to alarm him after he’d had a long day at work and all. I think the tree above is a perfect reminder of the fact that beauty is all around us – every day of the year. It doesn’t have to be a 85 degree day in June for Kentucky to show off. Our beautiful state struts her stuff year round. Again, all you have to do is look. If you’re familiar with my soapbox routines on Genuine Kentucky, you know I’m always preaching, “Shop local!” What better way to support our beautiful state and our wonderful neighbors than by keeping as much of our money in the state as possible. Since this is one of my biggest soapboxes, I got an extra charge out of the following press release. Read on, you’ll see why. First Lady Jane Beshear joined Kentucky artists, officials, arts patrons and the public in a celebration today at the Kentucky Artisan Center at Berea. The event recognized the creative works being made by Kentucky’s talented artists and announced Governor Steve Beshear’s proclamation of December 2014, as Give a Gift Made in Kentucky month. 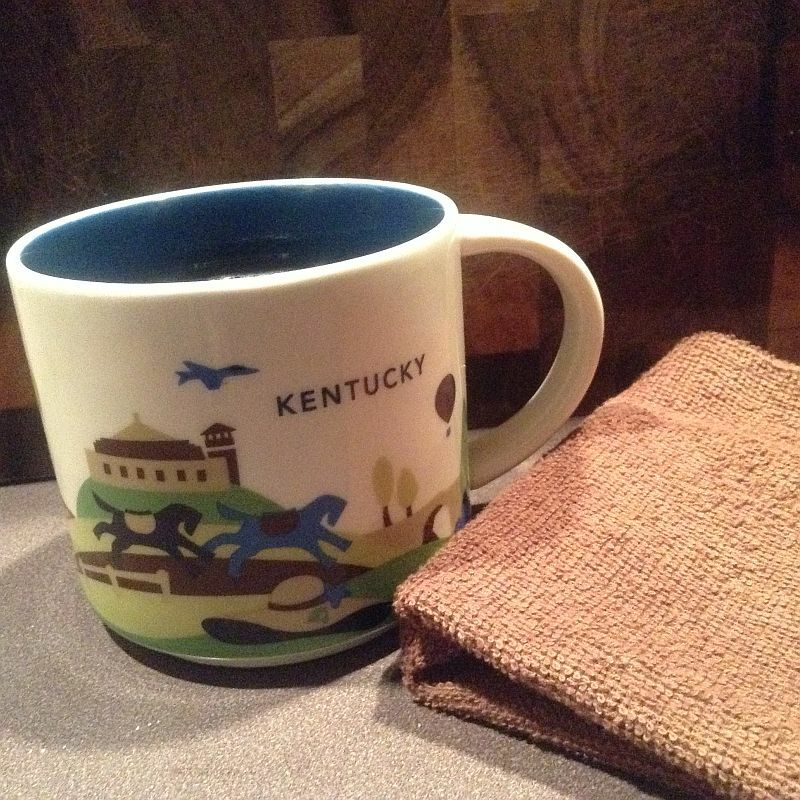 I encourage everyone to purchase Kentucky-made gifts this holiday season, Mrs. Beshear said. Kentuckians can find unique, quality gifts for anyone on their list, because all across the Commonwealth there are countless local shops, artist studios and businesses filled with books, food, artwork, toys and more. Bob Stewart, secretary of the Tourism, Arts and Heritage Cabinet; and Victoria Faoro, executive director of the Kentucky Artisan Center at Berea, also participated in the ceremony celebrating the state’s talent and encouraging everyone to Give a Gift Made in Kentucky. Regional artists Lindy Evans, and Donna and Donnie Smith were also on hand to contribute to the celebration by demonstrating their sculpted Santas and painted gourd ornaments. Berea, known as the Folk Arts and Crafts Capital of Kentucky, offers a wide variety of craftsmen studios, galleries, shops and the Kentucky Artisan Center, where wonderful Kentucky-made selections can be found for that special person on your shopping list. 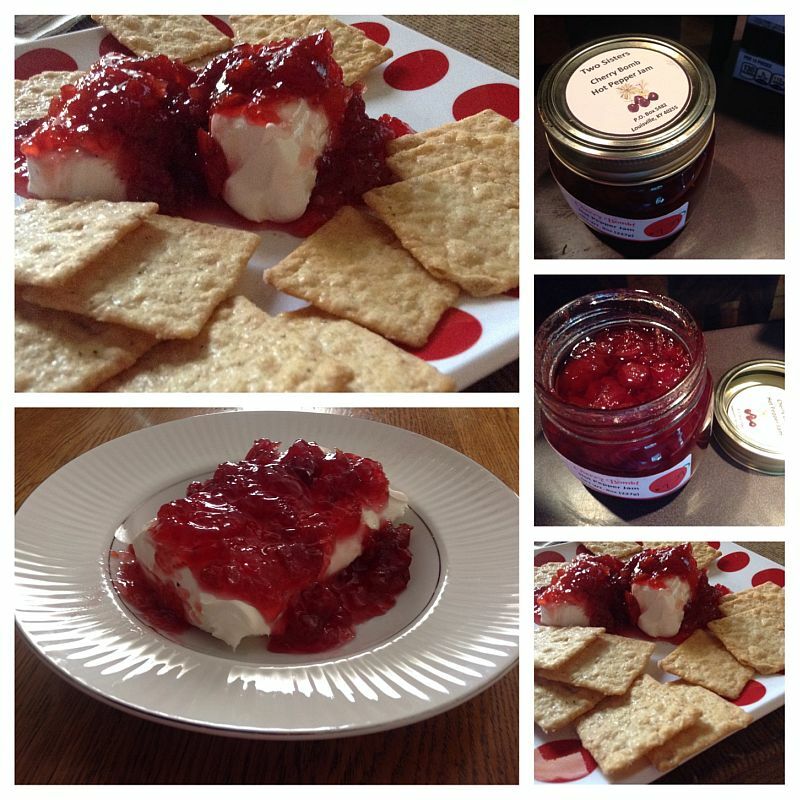 There are endless opportunities to enjoy the holidays in a unique fashion when you add Kentucky-made art, craft, books, music and foods to your celebrations, said Faoro. We are proud to offer thousands of Kentucky-made items and to present artisan book signings, performances and demonstrations on Saturdays throughout the holiday season, to make your holiday shopping experience a truly memorable one. The Kentucky Unbridled Spirit Gift Card is another way to purchase Kentucky-made gifts for that hard-to-buy-for person. Gift cards are available for purchaseat the Kentucky Artisan Center at Berea and can be used at other Tourism, Arts and Heritage Cabinet agencies such as the Kentucky Horse Park, the Kentucky Historical Society, and at Kentucky State Parks. This celebration event with the First Lady is part of the statewide annual holiday Give a Gift Made in Kentucky campaign to promote Kentucky’s art, craft, music, books, specialty foods, and more. For additional great ideas for holiday shopping, go to the Kentucky Arts Council Give a Gift Made in Kentucky website page. The Kentucky Artisan Center is located just off Interstate 75 at Berea Exit 77. The center’s exhibits, shopping and travel information areas are open daily from 9 a.m. to 6 p.m., and the cafe is open from 9:30 a.m. to 3:30 p.m. Admission is free. The center currently features works by more than 700 artisans from more than 100 counties across the Commonwealth. A special exhibit, Put a Lid On It: Containers by Kentucky Artisans, is on display through Feb. 28. For information about the center’s programming call 859-985-5448, visit the center on Facebook at www.facebook.com/kentucky.artisan.center, or go to the center’s website at www.kentuckyartisancenter.ky.gov. The Kentucky Artisan Center at Berea is an agency in the Tourism, Arts and Heritage Cabinet of the Commonwealth of Kentucky. See? See why I’m all charged up?? Here’s a GREAT website you’ll want to check out – while you’re all charged up, too: Kentucky For Kentucky. So many Christmas gifts just waiting to be bought! Whether you shop online at Kentucky for Kentucky or shop in your own hometown, keeping your money in your own state is just good old fashioned common sense. It’s also the Southern thing to do – what with it being so considerate and all. What are YOUR favorite ways to shop local? 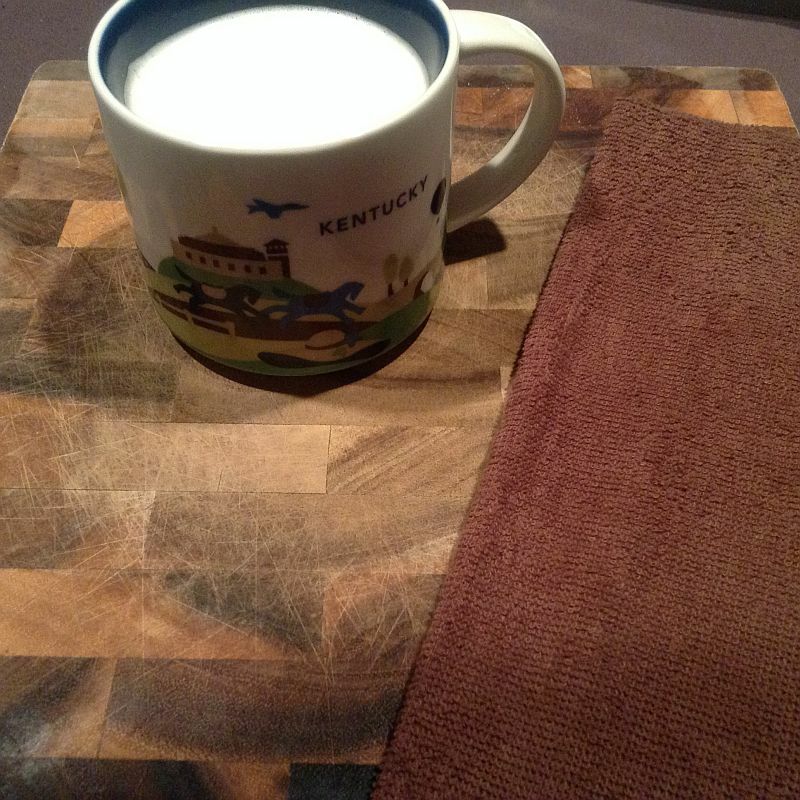 Do you have favorite Kentucky shops or products you swear by? I love The Hitching Post (Aurora), Trunnell’s Farm Market (Owensboro), The Fudge Factory (Grand Rivers), and all of the Kentucky State Resort Park gift shops. 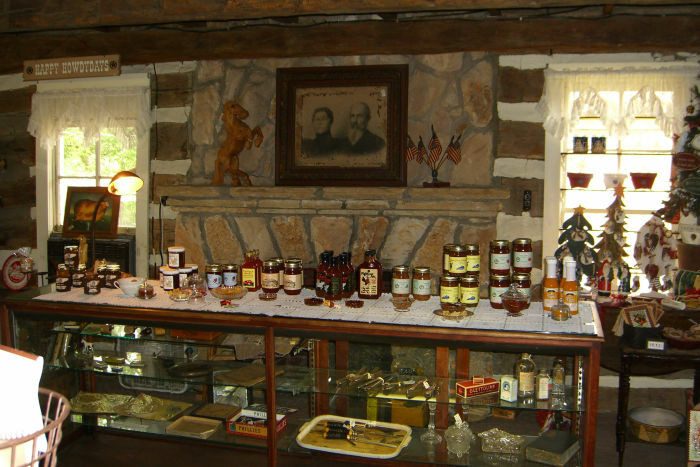 You can find wonderful Kentucky foods, crafts, jewelry, toys, and more. I’m also head over freaking heels in love with Two Sisters, out of Louisville. I guarantee if you gave anyone a jar of their Cherry Bomb Hot Pepper Jam, you’d earn yourself a lifetime membership on their tallest pedestal. Trust Joi on this one. She knows good food. Share your own favorite ways to keep it local in the comments! Pennyrile Forest State Resort Park is offering a chance to get outside this winter with its first Family Adventure Weekend, Jan. 16-18. Guests may participate in several outdoor activities, including archery, geocaching, mountain biking (must bring your own bike), bird-watching, hiking, canoeing or kayaking, tree identification, orienteering and horseback riding (must bring your own horse). There will also be an astronomy program Friday night and music on Saturday night. Guests will be responsible for appropriate dress, water, snacks and other items. All trips are considered beginning level since this is a family weekend event. There will be special lodge discounts and the campground will be open for group camping. For more information, contact the park naturalist at rebeccae.clark@ky.gov or 1-800-325-1711. The rustic wood and stone Pennyrile Lodge, with 24 rooms, sits serenely on a high cliff overlooking Pennyrile Lake. Open year-round, the park has 12 cottages in the wooded lodge area and on the lake shores. The restaurant seats 200, including a private dining room for up to 80. The park also has an 18-hole golf course with a pro shop, riding carts, pull carts and rental clubs. The course is open year-round, weather permitting. 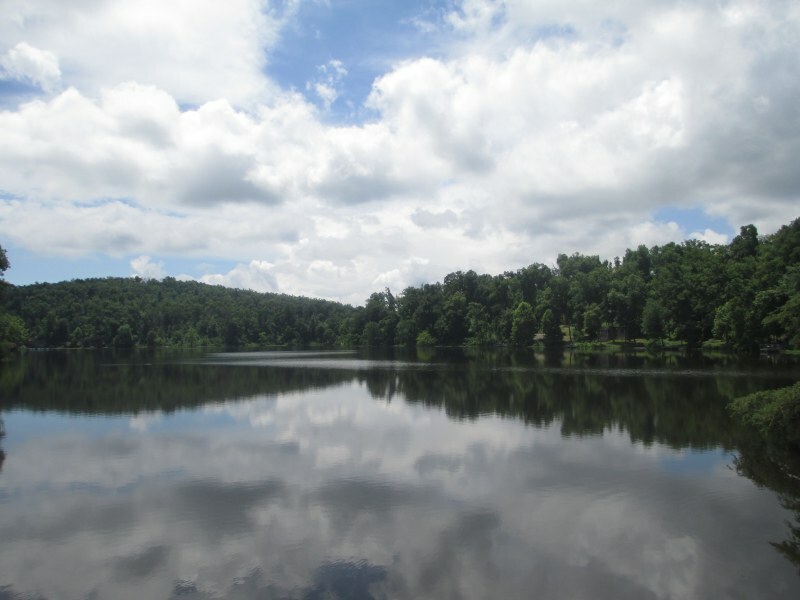 The park also offers hiking trails, fishing, basketball, tennis and horse campsites that are available year-round. See more beautiful pictures of Pennyrile Forest State Resort Park in our Photo Galleries.